2. He had death defying adventures. "In the (first) fifteen years of (field work) I can remember just ten times when I had really narrow escapes from death. 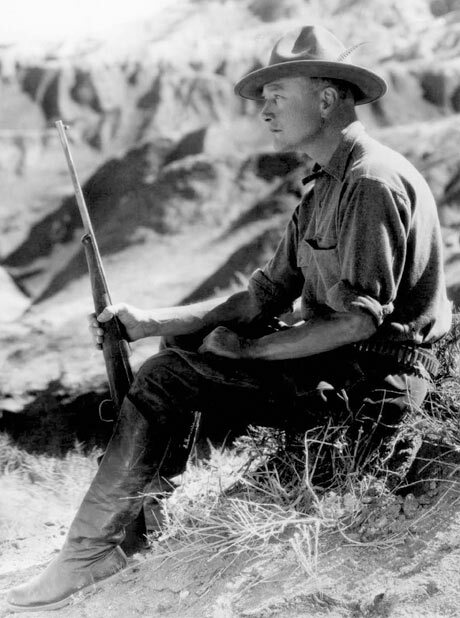 Two were from drowning in typhoons, one was when our boat was charged by a wounded whale; once my wife and I were nearly eaten by wild dogs, once we were in great danger from fanatical lama priests; two were close calls when I fell over cliffs, once I was nearly caught by a huge python, and twice I might have been killed by bandits." New York: G. P. Putnam's Sons, 1926. "...personally I dislike reptiles intensely. I don't know why, but I just do. My dislike isn't fear. It is an instinctive loathing. I have had to collect hundreds of reptiles during my explorations and I can handle them, if I have to, without going into hysterics or anything of that sort. I can inject them or take out their insides or skin them but I can think of about a million things that I would rather do." -Andrews, Roy C. This Business of Exploring. New York: G.P. Putnam's Sons, 1935. Print. 4. He had inventive fans. 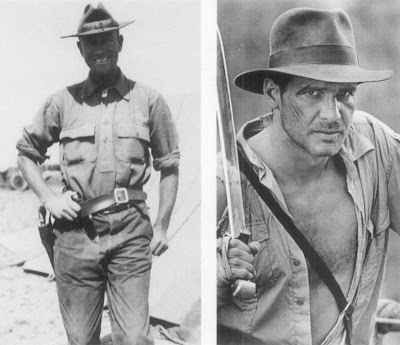 Fan letter to Roy Chapman Andrews, March 1931. 5. 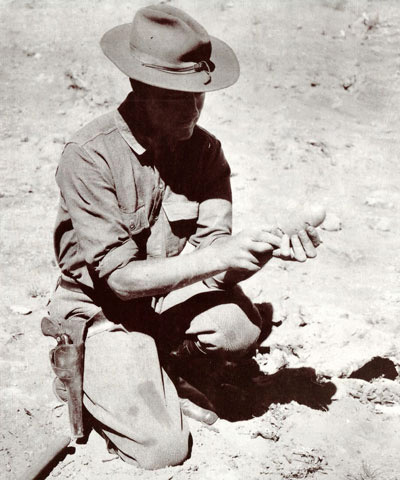 His party was the first in the world to discover dinosaur eggs. "Always there has been an adventure just around the corner--and the world is still full of corners."